Laurie is a culinary marketing strategist with more than 25 years of experience developing brands and producing premier events. Most notably, she helped generate more than $2 million for nonprofit organizations in the greater Philadelphia area. Her work as a journalist has appeared in the Pulitzer Prize-winning Philadelphia Inquirer (where she was a reporter), The Masters Tournament Guide, Bleacher Report, and Augusta Magazine among many others. Wayne is the founder of Taste of the NFL and 2010 James Beard Humanitarian of the Year. TNFL is the 28-year-old Party With a Purpose® held annually the night before Super Bowl Championship. The impact of TNFL has resulted in 200 million meals changing the lives of families across America through its food bank partnerships. Mallory is an Atlanta-based culinary producer and food stylist with extensive experience in culinary events and commercial, television, film, video and print food styling. She has served as Culinary Producer for elite events across the country including Taste of the Derby, Taste of the NFL, Taste of the Master Chefs, and many others. Her film work includes “Black Panther," “Furious 7,” and “Passengers," among others. They come for the history. They come for the magic. Every April, the world's top golfers and fans migrate to Augusta, where tall pines stand watch over the houses and highways. They come to compete or attend The Masters Tournament, one of the elite championships in the game of golf. For seven days, the city rocks with on and off course action, including hundreds of smaller, private parties in homes and other locations. One-time Augusta resident Laurie Merrill hosted those private party guests for almost 20 years. But Laurie, a Philadelphia native, always envisioned one large party, where guests would celebrate together, a spectacular but still exclusive gathering with amazing food, great music, and good friends. Enter the spring of 2016. Laurie, living in Charleston and working with some of the nation’s top acclaimed James Beard chefs at food events across the Southeast, saw a way to make her long-held vision of a tournament week premiere event a reality. She asked her chef friends to cook for a one-night event in Augusta. When they agreed, she began planning, leveraging 25 years of experience as a journalist, marketing strategist and event producer. She reached out to her many connections, and one recommended she meet Taste of the NFL founder and 2010 James Beard Humanitarian of the Year Wayne Kostroski. Taste of the NFL is the trendsetting Super Bowl tradition, aka Party With a Purpose®, which has resulted in 200 million meals changing the lives of families across America through its food bank partnerships in its 28-year history. Laurie shared Wayne’s passion for giving substantially to the community through events. After all, she had already successfully helped raise more than $2 million for nonprofit organizations through events in Greater Philadelphia, and spent more than 20 years serving in leadership for nonprofit organizations. They held a series of phone meetings, after which the two finally met in Augusta, where Laurie arranged a full day with friends, leaders and influencers in the Augusta community. By the end of the day, they agreed to partner to host the hottest culinary-music party ever held in Augusta. TOMC was honored to have Chef José Andrés serve as Chef Chair for 2017 and 2018. Chef Chair for 2019 to be announced Fall 2018. Nominated for a 2019 Nobel Peace Prize, named one of Time’s “100 Most Influential People,” awarded Outstanding Chef and 2018 Humanitarian of the Year by the James Beard Foundation, José Andrés is an internationally-recognized culinary innovator, author, educator, television personality, humanitarian and chef/owner of ThinkFoodGroup. A pioneer of Spanish tapas in the United States, he is also known for his groundbreaking avant-garde cuisine and his award-winning group of 28 restaurants plus a food truck located throughout the country and in Mexico City. José is the only chef globally that has both a two-star Michelin restaurant and four Bib Gourmands. His award-winning restaurants include two Michelin-starred minibar by José Andrés, Jaleo, Zaytinya, J by José Andrés at W Mexico City, Bazaar Meat at SLS Las Vegas, the Bazaar by José Andrés at the SLS Hotel in Beverly Hills and South Beach, and Beefsteak, his vegetable-driven fast casual concept. 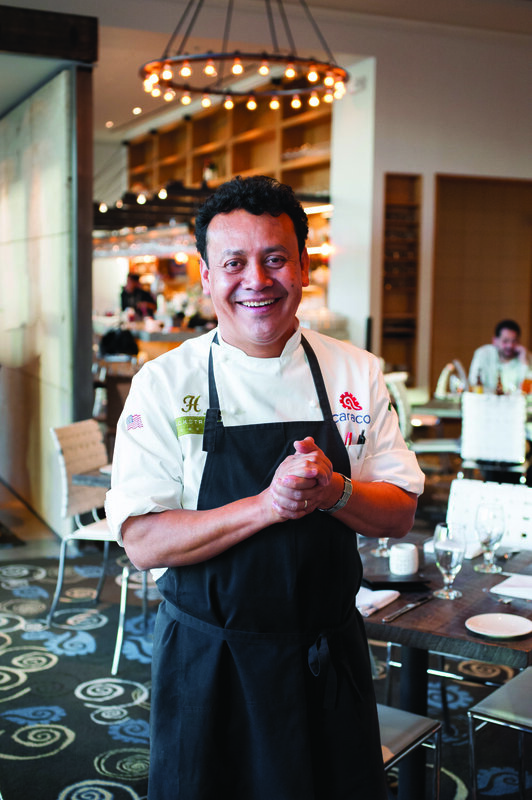 Andrés is a committed advocate of food and hunger issues and is known for championing the role of chefs in the national debate on food policy. In 2012, Andrés formed World Central Kitchen, a non-profit that provides smart solutions to hunger and poverty by using the power of food to empower communities and strengthen economies. 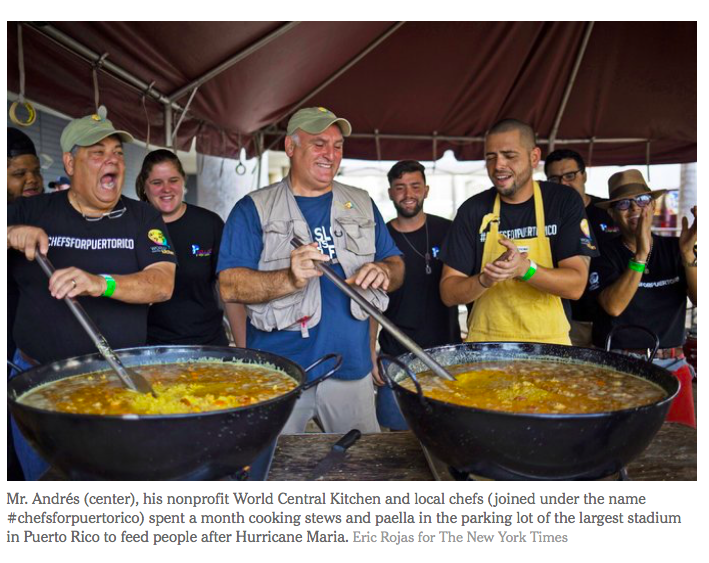 Together with World Central Kitchen and #ChefsforPuertoRico, Andrés served over 3.3 million meals in Puerto Rico following the devastation of Hurricane Maria in 2017, reaching communities in need across all 78 municipalities through 23 kitchens. Andrés’ work has earned awards and distinctions including the 2017 Lifetime Achievement Award from International Association of Culinary Professionals and the 2015 National Humanities Medal, one of twelve distinguished recipients of the award from the National Endowment for the Humanities. Andrés was also named EY Master Entrepreneur of the Year in Greater Washington for his leadership and impact on the global business community and was also awarded the Congressional Hispanic Caucus Institute’s Chair’s Medallion Award. For more information, visit thinkfoodgroup.com. Food is about making an interaction with ingredients. If you talk to them, they will always tell you a story. 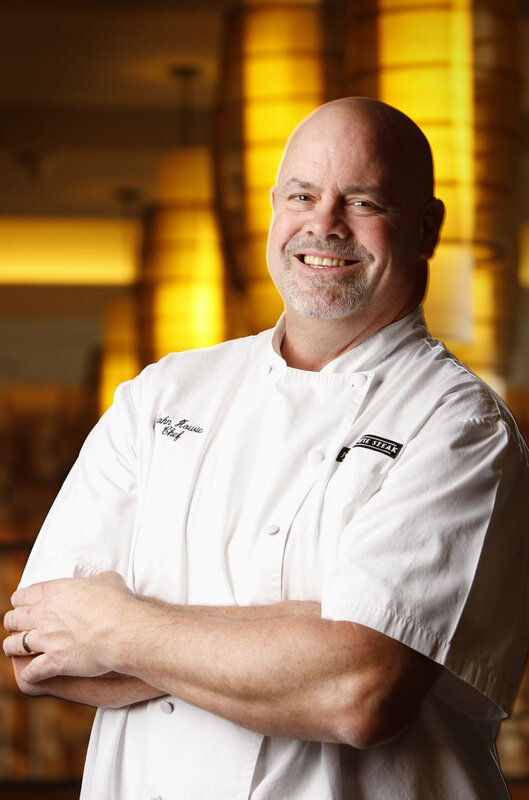 Chef/Owner, John Howie Restaurant Group | Seastar Restaurant & Raw Bar | John Howie Steak | Beardslee Public House | Sport Restaurant & Bar Wildwood Spirits Co. Featured in Food & Wine, Martha Stewart Living, CBS Early Morning Show, ABC Good Morning America, CNN, Food Network. Chef Ward was the opening team of the St. Regis hotel in Buckhead and later joined his mentor and now friend Kevin Gillespie at Woodfire Grill. Chef Ward later took the reigns of Chef Gillespie's groundbreaking Gunshow, where he led the team in the nationally acclaimed restaurant for nearly six years. He is now bringing his visionary restaurant concepts Southern Belle & Georgia Boy to the Atlanta market, Summer 2019. California-native EJ Hodgkinson combines sustainable, organic advocacy and industry knowledge with King + Duke’s signature bent toward open-fire cooking. With age-old technique and a 24-foot open-fire hearth, Hodgkinson injects the over-arching theme of responsible butchering and direct-heat cooking into the juicy, smoky menu at King + Duke, and further propels the restaurant into the limelight of Atlanta’s food scene. Under his leadership, the Atlantan and other notable publications have named King + Duke one of the top restaurants in Atlanta.